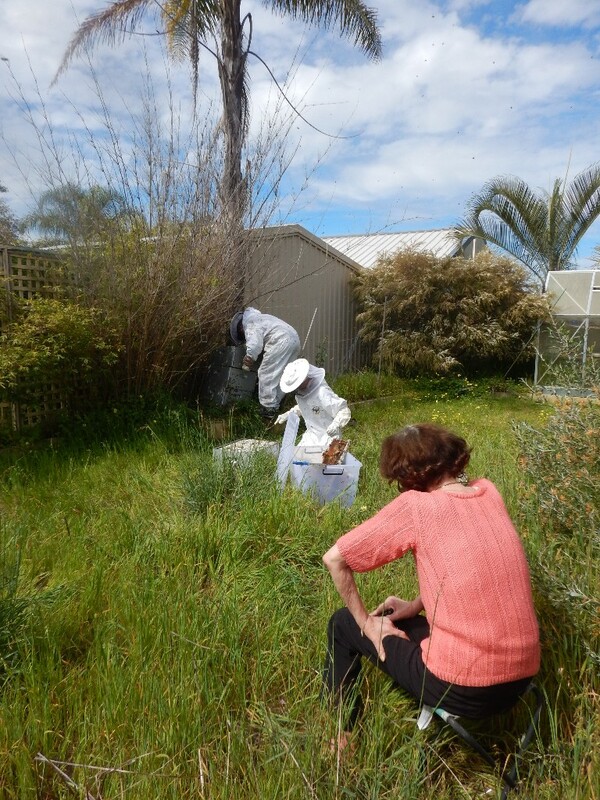 It's that time of year again - the bees are a- buzzing, the swarms are a-swarming and people are throwing off their winter blues and flocking to Perth's vast array of beautiful open spaces, each others back yards, and generally getting out and about. Not surprisingly when people are no longer cloistered inside they interact with the outside world and are not always delighted with the crawling critters, and flying friends that they meet there. 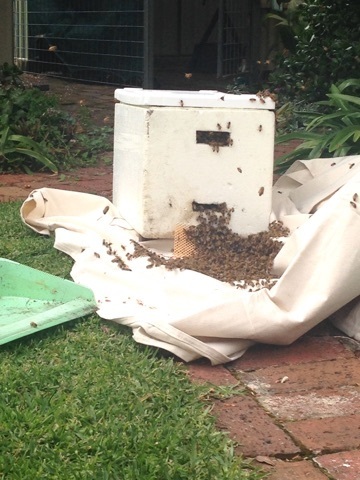 Bees swarms are a relatively common occurrence in September, October and November in Perth. When bees swarm they are most unlikely to sting, so despite their appearance, people should not fear them, just treat them with respect. 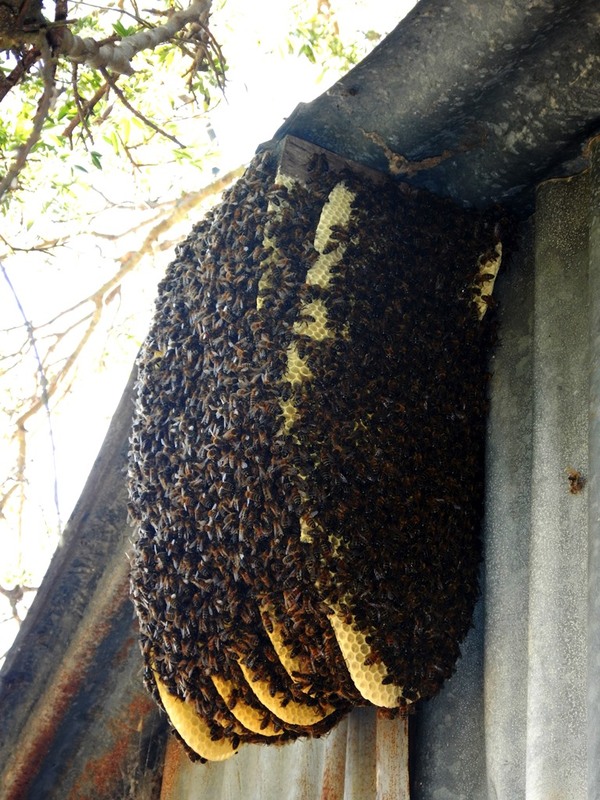 When a cluster of bees is seen hanging on a tree branch or similar, they are NOT thinking of setting up home there! They are in a transition waiting for the scout bees to find new accommodating. That might only take a couple of hours or at most a few days, but almost invariably they will move on, of their own accord but that doesn't always suit us humans and the cry of 'something must be done' echoes through the streets. With the international focus on the plight of bees - of both the honey and native varieties - becoming common knowledge throughout our communities the expectations around the 'something that must be done' has become the 'safe collection and relocation' of the swarm or hive so it is not surprising that our swarm collectors have been receiving significant number of requests for assistance to safely remove and relocate both swarms and natural hives from spots that people believe create a safety hazard for the bi-pedal occupants. 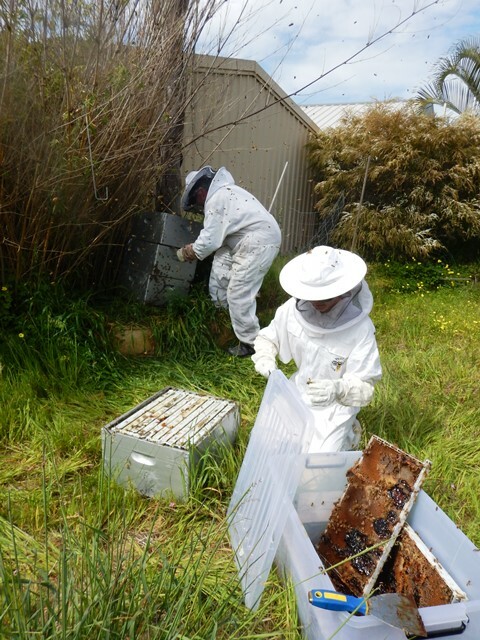 Some of our WAAS members hard at work recovering, removing and relocating 'problem hives'. While every bee is important - is it always possible to meet this expectation when it comes to a hive that has become established where it is not wanted - to remove the hive away from the public space and capture the Queen, her support crew of nursery bees with their precious charges, the field bees on collection duties and transfer them safely to a new home in a place where people do not consider them a hazard? 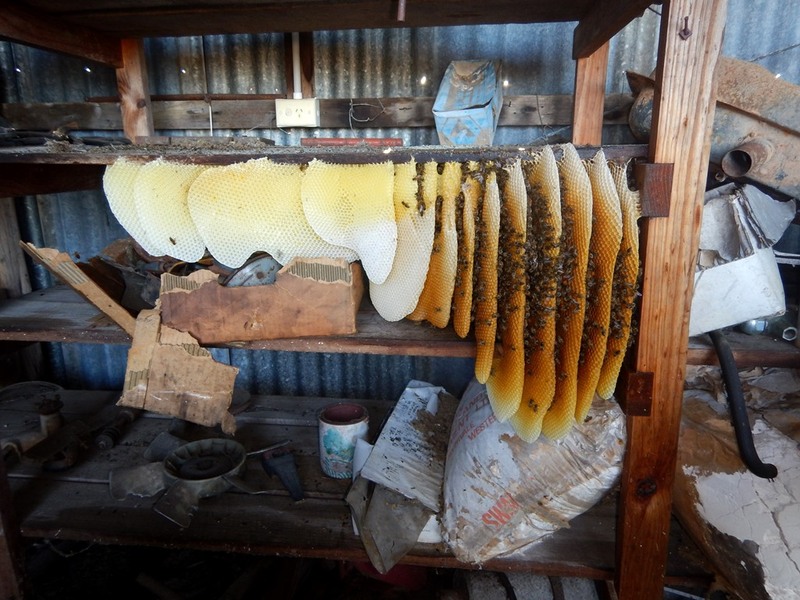 In some cases, bees will occupy an old cupboard or box or something similar on a back verandah, in a shed, and establish themselves. 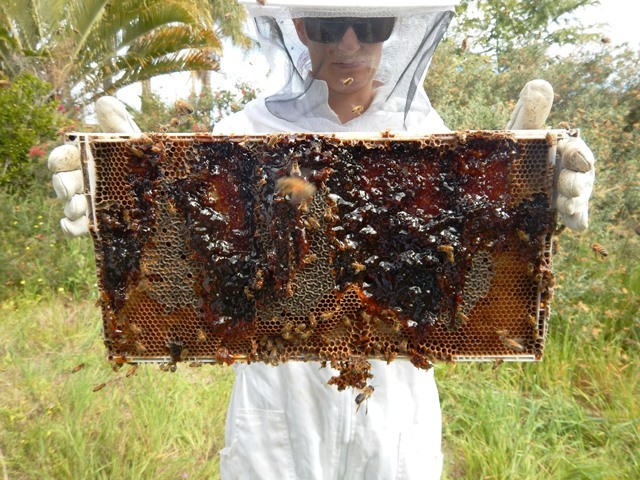 There are many beekeepers who will come to remove established colonies like this and, assuming that the sections of the hive containing brood (and as a consequence, Her Majesty) can be accessed the hive can often be removed and re-established in a different location. 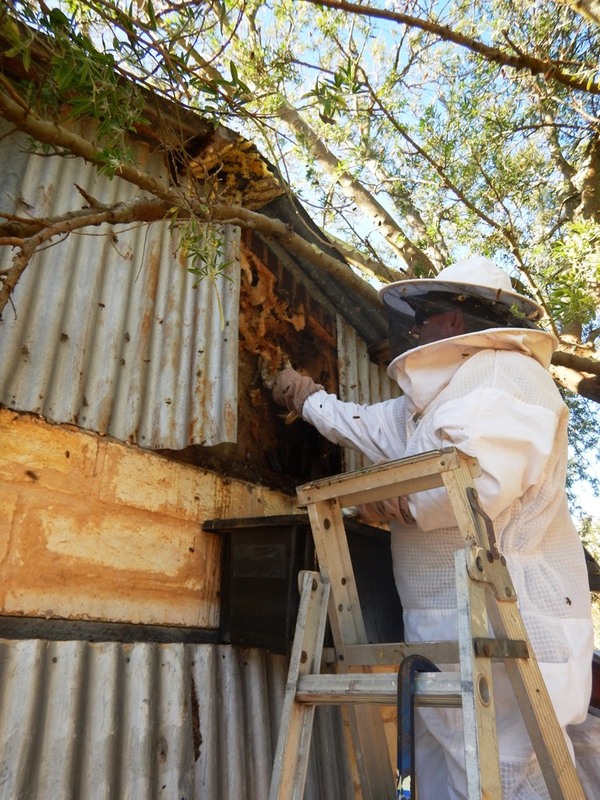 Where a hive has become established inside tree trunks, inside double-brick wall cavities or similar large and significant structures they are almost impossible to remove without destroying the tree or the wall. 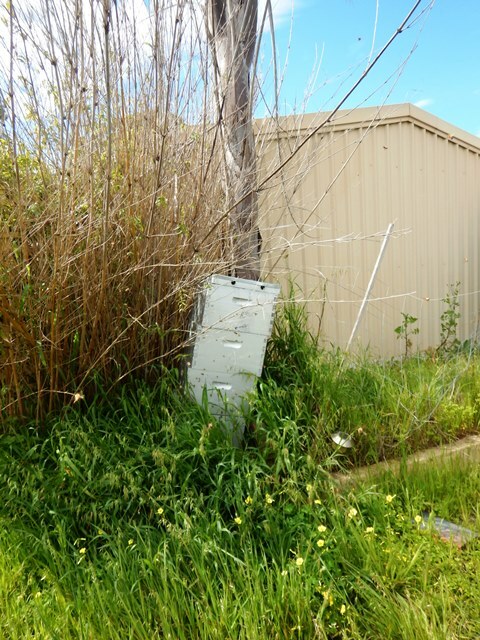 In these cases, the 'public safety' vs. 'hive safety' debate ensues and, where 'public safety' wins the bees, unfortunately, need to be destroyed and the hive entrances permanently closed to prevent reoccupation. This is never a recommendation that the WAAS beekeepers or any beekeeper make lightly. 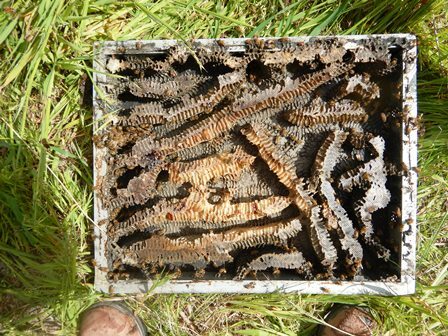 If you become aware of a swarm or 'problem hive' the first question should always be 'Is it really a problem or am I just uncomfortable with it being where it is? Does it really need moving or is it OK where it is for a while? 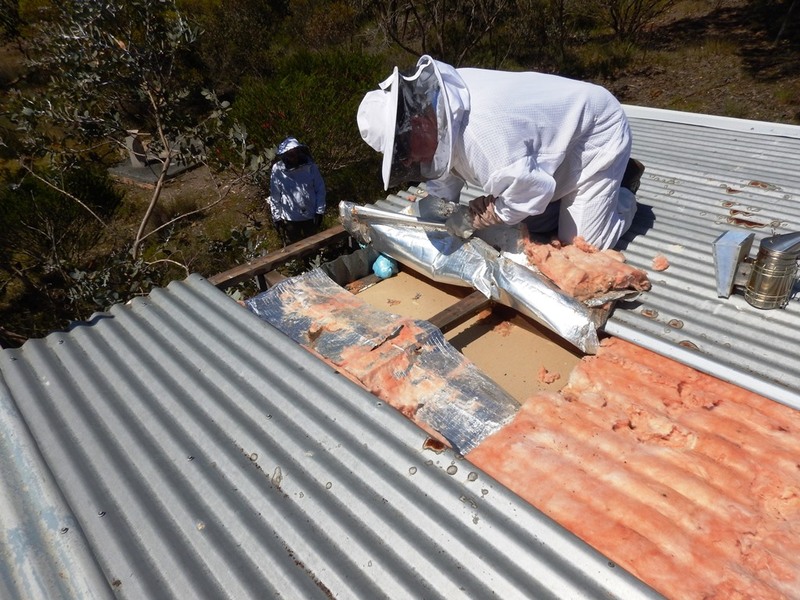 - if you need to 'take action' then please contact one of our wonderful WAAS swarm collectors and they will be able to talk with you about the options... 'Something can always be done... but that 'something' might not be what you expected - so, does that 'problem hive' really need to move? .